Solar in Massachusetts: If you're considering a solar installation, you've no doubt got plenty of questions. In this overview, we will take a look at a wide variety of factors that may impact your decision specifically if you reside in Massachusetts. 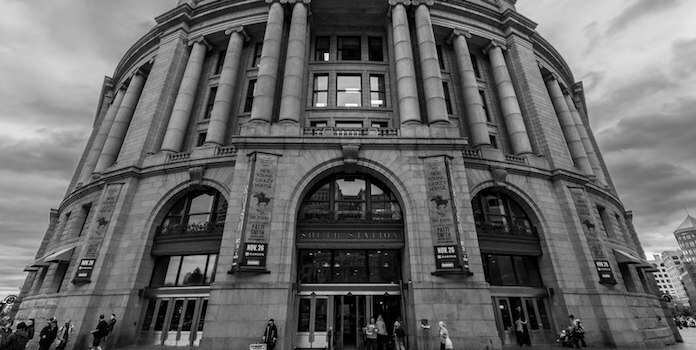 The good news is that Massachusetts has not only built its name as the home to Hollywood stars such as Matt Damon and world renowned sports team The Red Sox, but also, it has for the past few years cemented its position as an American state powerhouse, which is gradually becoming energy independent and leading in the quest to fully rely on energy saving technologies. One of the most successful stories in reduction of energy consumption in Massachusetts has been the increased sensitization of the residents to use solar energy through various innovative solar power rebates. #1 Are Solar Panels Worth it in Massachusetts? The road to lighting Massachusetts using solar power has not been without its missteps. As such, MA has soldiered on to achieve an excellent B+ Solar Grade. Once you’ve decided solar power is the right choice for powering your home, you’ll need to decide among the several available options to pay for your system. You can choose among options like paying cash, leasing, PPA (Power Purchase Agreements), and loans. This is by far the most attractive payment option from a savings standpoint. You won’t be paying interest and you won’t have to worry about monthly payments for a lease. You will truly own your own power, free and clear. All installers accept cash payments as an option, so if you’ve got the green on-hand it’s definitely a strong contender to consider. If you plunk down the lump sum all at once rather than leasing or taking out a loan, you can expect to earn back your investment within eight to thirteen years. Cash is a superior option whenever possible simply because it takes the burden off of you as far as worrying about making future lease or loan payments, removes the cost of interest, and allows you total freedom should you decide to sell your home. Bottom Line: If you plunk down the lump sum all at once rather than leasing or taking out a loan, you can expect to earn back your investment within eight to thirteen years. Massachusetts has a strong leasing program, which provides homeowners with the option of paying a rental fee rather than buying your system outright. Under a solar lease agreement, the installer installs and owns the system, and the homeowner makes scheduled payments to the company. This arrangement is typically set up over a period of 15-20 years. Qualifying for a solar lease may actually be more difficult than qualifying for a loan. Credit score requirements are stringent – you generally need to have a minimum score of 680 to qualify for the terms of the lease. You may also need a down payment – this will vary from installer to installer and what specials they’re currently offering. There are several companies to choose from for a solar lease in Massachusetts, and the vast majority have high ratings with the Better Business Bureau. Solar leasing works well for some homeowners because it allows you to take advantage of this alternative power source without having to come up with the money to pay for the system upfront. Massachusetts has an established leasing system in place that makes the process simple for homeowners and gives installers incentives to provide these services. Leasing may not be the right choice for everyone, so it’s up to you to evaluate the benefits and drawbacks to determine whether this option is suitable for your needs. It allows you to begin saving money right away, on your first electric bill. Maintenance is typically taken care of by the installer/owner of the system, taking pressure off of you to come up with repair costs and replace worn out components (maintenance terms vary between companies, with some covering all or part of the expenses, or allowing the homeowner to make an upfront payment at the beginning to cover these costs – make sure you know who handles maintenance before signing a lease). It allows you to save on high purchase and installation costs by spreading your payments out over the term of the lease. You may end up with a cash-positive transaction if the system produces more power than your home uses and your lease payments are less than your overall savings on the electricity bill. There is no guarantee that your home will use less power than the system produces, which means that you could pay more between your energy bill and lease payment than you would with other financing options. You may be responsible for some maintenance costs, which could include replacing parts like the inverter. Massachusetts financial solar incentives go to the installer/owner, not to the homeowner. There is typically a price escalator involved, which means your rates will go up 1-3% per year. Selling a home that is under a solar lease can pose a challenge, as the new owners may not want the lease, or may not meet the credit and other requirements necessary to assume it. Some solar leases contracts contain restrictions that prevent homeowners from making property alterations that would affect the system, such as a chimney or other structure that may cast a shadow. Bottom Line: Solar leasing works well for some homeowners because it allows you to take advantage of this alternative power source without having to come up with the money to pay for the system upfront. A Power Purchase Agreement is similar to leasing, except that instead of a fixed lease payment you only pay for the power you actually use. You contract with a solar finance provider to buy, install, and maintain your system and then you purchase your energy at per-kilowatt rates that are set to compete with local utility company rates. If you’re considering a PPA arrangement, you’ll want to keep track of your current electricity rates so you can compare them with the proposed rates from the financing company. Because you will be agreeing to pay a specific rate, this may or may not be a lucrative long-term choice. Try to get projected rates for future years from both the contractor and the utility company so you can weigh each option carefully. Similar to a solar lease, there are certain requirements that must be met, which typically includes a certain level of credit score. Once you choose a company you will need to go through their qualification process to find out if you meet their requirements. PPAs can be a viable choice for those who don’t wish to make a big upfront investment, although you should take into consideration whether or not you will be selling your home within a few years because a non-ownership arrangement for your solar energy system can have a significant impact on the selling process (more about that later). There are benefits and drawbacks to this option, just as with the other options for financing your system. If you want to get a loan for your solar energy installation in Massachusetts, you have a number of options. You can obtain financing from a private lending institution or a solar contractor, or you can utilize the state’s Solar Loan Program. Installers have varying requirements, from monthly payment amounts to credit requirements, interest rates, length of the loan, and other factors. Some lenders may require collateral, and some may offer a home equity loan option. Some might even offer a $0 down payment option, depending upon the incentives being offered at the time of your purchase. The MASS program, administered by the state, is operated in conjunction with the Clean Energy Center and the DOER, and allows homeowners to purchase solar PV with the help of low-interest loans. The program’s focus is on connecting consumers who may not otherwise be able to find financing for an alternative energy system to obtain an affordable loan with less stringent requirements than typical lenders would demand. This means that the program is open to those who may have a lower income or an imperfect credit score. The MASS Solar Loan Program matches applicants with qualified installers who can walk them through the process and help them submit an application to the program. Once the application is accepted, the homeowner then applies for the loan through a participating lender. Loan amounts vary between $3000 and $60,000, with lenders being required to offer loans at least up to $35,000. There is a minimum 10-year term, at a fixed rate of 3% or under. The loans may be secured or unsecured, and maximum closing costs are set at $500. Solar loans work well because they give homeowners the option to spread the cost of their system out over a number of years while still offering the benefits of ownership, such as the ability to claim federal and state tax credits. Bottom Line: With the exponentially increasing popularity of solar power, lenders are becoming more and more willing to work with clients on this type of financing. Massachusetts is a very lucrative place for choosing solar power. The state offers multiple incentives, tax benefits, and other energy-related financial rewards for homeowners who own their own system. Massachusetts legislation and governmental policies encourage participation and are a major contributor to the fact that the state is so alternative energy friendly. As of 2015, 29 states had enacted a RPS (Renewables Portfolio Standard). This mandate requires that utility companies produce a specific amount of power from renewable sources, such as wind or solar. The easiest way for the utilities to meet these requirements is by making alternative power sources attractive to homeowners through incentive programs. The power company has no vested interest in you, the consumer, producing your own power – that means they’ll be making less money off of you through high electricity rates. In the case of states with a RPS, they have no choice but to make this option available to customers. Massachusetts has a comparatively aggressive, two-tier RPS made up of regulations covering Class I (post-2007) and Class II (pre-1998) units. These regulations dictate that 15% of power generation needs to come from new alternative resources by the year 2020. In addition, Class I energy production must increase by one percent each following year, with no expiration. When it comes to solar power in particular, there are specific goals for that as well. While the state’s original annual solar megawatt goal started out at 400 by the year 2017, and in 2014 was bumped up to 1600MW to be achieved by 2020. All of these requirements are great news for MA residents because they create a pressure chamber for utility companies, providing intense motivation for them to meet the goals and avoid steep fines. These are otherwise known as SREC, or Solar Renewable Energy Credits, and have been one of the major players in motivating Massachusetts residents to install solar energy systems. SREC are directly linked to the state RPS (Renewable Portfolio Standard). Utility companies must provide the state with proof of the number of MWh (megawatt hours) that they have been able to produce via solar energy sources. If they cannot meet these requirements, utilities have the option of purchasing credits from system owners. Basically these credits are certificates that allow the utility company to claim your energy generation as their own. You may be wondering what’s in it for you with the SREC program? Quite a chunk of change, in fact. The ACP (Alternative Compliance Payment) for 2016 is $472. What this means is that for every MWh of their annual requirement under the RPS that the utility company cannot meet, they must pay the ACP amount. It’s typically more financially logical for them to buy your credits for a little less than they’re worth (because naturally these transactions come at a cost, so some of the money is lost as it moves through the system, plus the utility company wants a discount to make it worth their while rather than just coughing up the ACP). Even with this discounted rate, you stand to gain up to a couple thousand dollars per year. A 5kW system may produce approximately 5 MWh of power per year, so if you sell your credits at a few hundred dollars each, you’re looking at a purely cash gain of $1500. SREC-II, or the Solar Carve-Out Program as it is known, expired at the end of 2015. On April 8, 2016, however, the MA DOER (Department of Energy Resources) filed an emergency regulation with the Secretary of State in order to extend the program while they iron out the details on the next solar incentive program. While the regulation stipulates that all projects which obtain authorization for interconnection before the next incentive program begins will still qualify for SREC-II, there is a catch. The emergency regulation only remains in effect for 90 days from the date of filing, pending the complete DOER rulemaking proceedings. What this means for consumers who are considering initiating an installation is that at the time of this publication, the state of the SREC-II program is up in the air, although it appears that the DOER is making efforts to ensure its continuance through 2027. Even if you purchase a system and apply for authorization for interconnection before the 90 days expires, there’s no guarantee that your application will be completed before that time. This is because the review process takes time and news of this emergency regulation has spurred an influx of applications as homeowners and corporate entities attempt to get in under the deadline. Still, the SREC program is worth keeping tabs on. Advances in alternative energy technology have resulted in the ability for utility companies to not only send power one way to your home but for power to be sent in reverse – from your solar panels to the electric company. How does this benefit you as the homeowner? Net metering programs in Massachusetts require power companies to monitor how much energy your system is generating, and if you don’t use up everything you produce, you will receive a credit on your bill for this unused power. This gives you an incredible advantage when it comes to times of the year – say, winter, if your heat runs on electricity – when you will need more energy than your system is generating. While net metering is not a revenue-producing activity for your solar energy system, it is still a significant path to savings over the long haul since you likely won’t end up having to put any money at all into your overall electric bill throughout the year. The net metering process prevents the utility company – and you – from having to nickel and dime each other, sending small amounts of money back and forth throughout the year as your power production and electricity usage ebb and flow. There are a couple of things you should know about this process, however. Utility companies operate differently when it comes to net metering. Some will give you a one to one kWh ratio, while others offer a slightly reduced return for each kWh you send them. You do get to carry these credits over indefinitely. Make sure to get the details about your local area’s specific net metering practices so you can take this into account when calculating the payback time of your investment. The state requires that those producing their own power through a distributed generation system (a unit that produces electricity at or near the point of usage) go through the interconnection process. This is basically a fancy way of saying that you need to file an application with your local utility company to connect to their grid. You must obtain an Interconnection Service Agreement as well as Authorization to Connect. The responsibility for obtaining these documents rests with the homeowner, and you will need to follow whatever processes the individual utility company requires, along with paying any applicable fees. Why is the interconnection review process necessary? This protocol is in place because power generation has an effect on the reliability and safety of the entire grid. The size and type of the system, the customer load, and the specific traits of the local grid are all taken into account during this review process in order to ensure that the proposed project meets all applicable requirements. There are multiple financial incentive programs available to homeowners who install solar energy systems in Massachusetts. These benefits range from tax credits and exemptions to offsets on energy needed above and beyond what the system produces. The system must have been placed between January 1, 2006 and December 31, 2019 (expiration was previously set for 2016, however this has been extended, and will decline incrementally each year until it reaches 10% in 2022, then it will be eliminated for residential installations). You must own the system, either via a cash purchase or loan financing; solar leases and PPA arrangements are not eligible. It must be an original installation – i.e. you cannot claim the credit if you purchase a home with an existing system. The federal ITC (Investment Tax Credit) is calculated based upon the net price. This means that you claim the amount you paid after any installer promotions, rebates, etc. The IRS permits you to carry over any unused credit to the following tax year – for example, if your credit is $5000 but you only owe $3000 in federal taxes, you will claim the remaining $2000 on your next year’s tax filing. There may additional stipulations depending upon your specific personal tax situation, so consult a tax professional to be sure you’re getting the full amount for which you are eligible. This is a direct credit on your state tax bill (as opposed to a deduction) that reduces your liability for 15% of the net cost of your system, up to a cap of $1000. Given that a 5kW system costs an average of $25,000 or more, this cap shouldn’t be difficult to reach. Considered one of the most attractive benefits of installing solar power in Massachusetts, the property tax exemption is good for the first 20 years of your system’s life. It’s important to note, however, that this doesn’t mean you are exempt from taxes on your entire home and property, just the value of your solar energy system. This can trigger considerable savings due to the upgrade potentially adding value of up to 20 times your yearly energy bills savings to your home – with a 5kW system that could mean up to $20,000 in added property value. In addition, you are also exempt from property taxes on any panels or equipment that you add later on. Massachusetts offers a 100% sales tax exemption on all of the equipment involved in installing and running your solar energy system. The equipment must be used to provide energy at your principal residence within the state, and you will need to provide form ST-12-Exempt Use Certificate to your installer or equipment vendor. This exemption may not sound like much, but when you consider that you’re purchasing a $25,000+ system at a higher than 6% sales tax rate, you could see savings close to $2000 – that’s no chump change. Will I actually save on my electric bill? What maintenance is required for solar panels? What if the roof needs replacing? What if I need to resell the house? Many of these concerns are easily addressed by producing actual bills reflecting the average savings in your area. This is going to be one of the more significant selling points when it comes to demonstrating benefits to buyers, because Massachusetts has comparatively high electricity rates, at about 25% higher than the national average. While it’s difficult to predict exact savings, due to the vast array of factors which affect energy production and usage, the average solar energy system saves the homeowner at least $600 a year on their electric bill (without taking into account incentives like the SREC and net metering). Over the course of 20 years this could add up to $12,000 to $15,000, not including the other potential financial benefits of owning the system. The best part of selling a home with solar panels in Massachusetts is that the system adds value to your selling price. A recent study out of the Lawrence Berkeley National Laboratory in California demonstrated a pronounced difference in the selling prices of solar homes versus non-solar, across eight states, including Massachusetts. The study analyzed 20,000 home sales and found that across most of these states, solar increased the selling price by nearly $13,000. In California the gain worked out to $16,000. If you’ve been in your home long enough to recoup some of your investment, via electric savings, SREC, property taxes, net metering, and the federal ITC – and it’s highly likely you’ve made back at least a significant portion by now – a $13,000 increase in the selling price of your home could actually net you a profit on the system. This is where things can get dicey. If you’re locked into a 20-year contract for your equipment, you’ll have to find a buyer who is not only willing to take over your lease payments but also qualifies according to the installer’s credit requirements. Barring this, you could buy out your lease – or buy out the equipment – but these costs can add up alarmingly fast, to the tune of $20,000 or more. In general, if you’re planning to sell your home within five to seven years, solar may not be a good investment. If you’re planning to sell your home at all, solar leasing is probably not the best option, and definitely not unless you’re planning to wait at least until your contract is up. In the end, solar panels aren’t likely to deter a buyer who has their heart set on a specific home in a specific location, and it may work effectively to entice those with an environmentally (and wallet) conscious mindset. The Massachusetts Clean Energy Center has some solid recommendations for finding the right installer for you. It’s important to find a company that can guide you through the entire process, and inform and assist you regarding incentive programs, rebates, and any other details you need to know about having and operating a solar energy unit. You should also ensure that your installer is able to guide you on insurance issues and details of the net metering program in your area. If you’re planning to lease your system, you will need to inquire as to the minute contract details – do they handle maintenance or do you? What happens when the inverter needs to be replaced? Are there any hidden costs associated with the installation and service aside from the monthly lease payment? 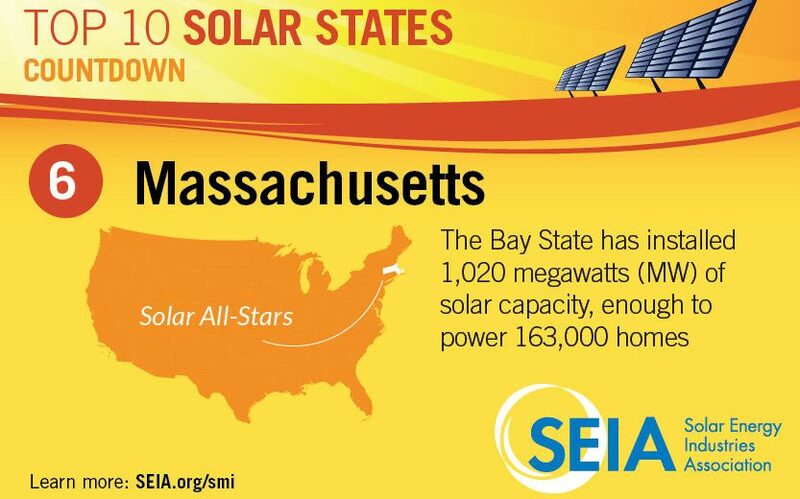 Massachusetts is, without a doubt, one of the best states in the nation in which to go with a solar energy system. With rising electricity costs and a generous menu of incentives, rebates, and tax breaks, consumers stand to gain not only energy bill savings but other financial advantages as well. The state has demonstrated a strong commitment to alternative energy sources through its RSP and aggressive alternative energy goals, making it a great place to be for those who want to participate in the green energy movement. As you make your decision on whether to install solar in your Massachusetts home, do all the research you can and make sure you read the fine print on all contracts and documents. This earth-friendly power source is only growing in popularity, so it’s a great time to get in on the action and reap not only the financial advantages, but the benefit of knowing that you’re saving 106 trees for each year your system runs, and making the world a cleaner, better place for everyone.